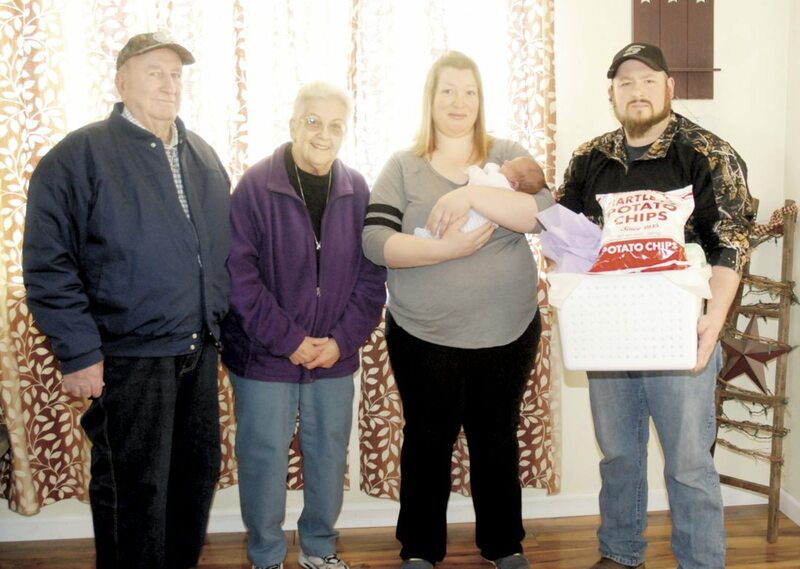 The Mifflin County Farm Bureau honored the first baby born on National Ag Day, March 20, with a gift basket full of goodies. Dalton Wagner, son of Marty and Jamie Wagner of Lewistown, was born at 4:38 p.m. Tuesday at Geisinger-Lewistown Hospital. Frank and Barbara Bonson, left, of the farm bureau, present the donation to the Wagner family. 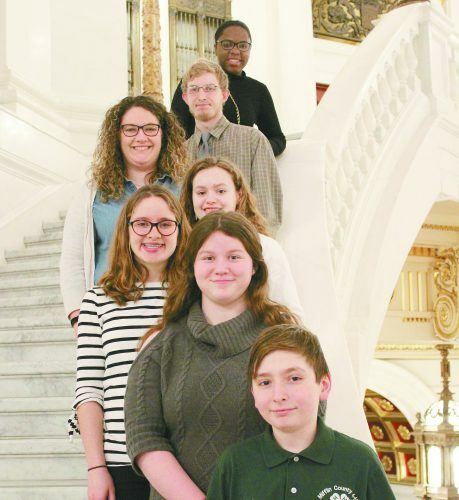 Bryson Wagner, 4, is the couple’s other child.